With some design tips, you can have your own private sanctum and oasis. There’s more to planning your new or remodeled bedroom than just giving it four walls, a closet, and possibly an en-suite bathroom. How the areas are arranged in relation to each other has a significant impact on air flow, privacy, and how well the room functions for your particular lifestyle. The biggest challenge in the master suite and any bedroom for that matter is that beds are large and awkward, and dominate not only the space but the eye as well. They typically occupy one of the longest walls, leaving limited options for arrangement of the rest of the furniture. And, you must make sure that the wall can accommodate the bed, two-night stands, plus enough circulation room that you don’t feel you’re tripping over everything just trying to get around the furniture. 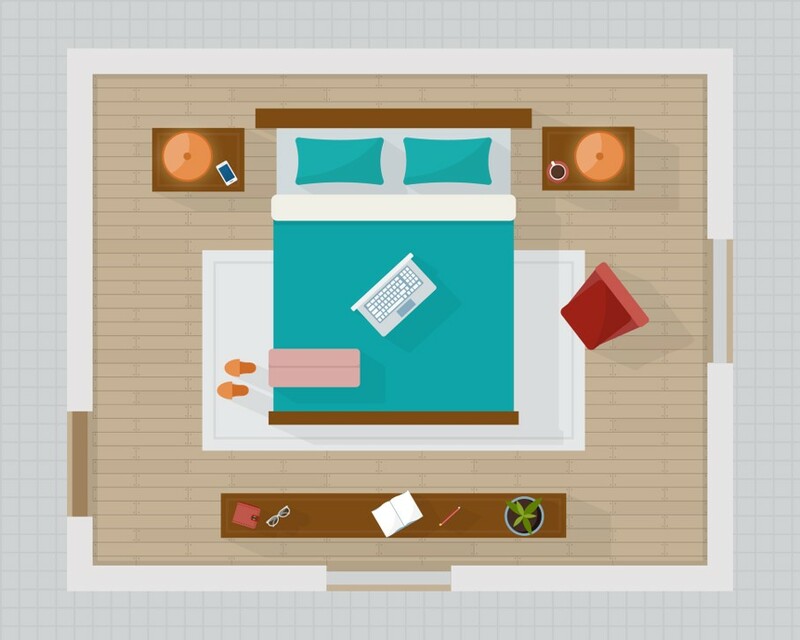 When planning the size of your bedroom, take into account your bed size – for a queen bed, you’ll want a minimum of 12 ft. x 12 ft., in order to have enough room for end tables, a dresser, and to change the linens comfortably. If you have a king-size mattress, bump that minimum up 12 ft. x just over 13 ft. If you have additional furniture pieces like an armoire or chest of drawers, add the depth of the piece plus 24” for opening the doors and drawers to your total square footage. One other note on the largest piece in the room – even if you don’t have enough space for (or need, if you’re single) two night stands, try to avoid having the bed directly up against the wall. Leaving just enough space to sneak in there to change the linens makes life much easier. You know the rest, and if your door opens directly onto a view of your bed, everyone else in your household might know too. One great layout that solves two problems at once is a door that opens into the small, square nook between the closet/bathroom area and the outside hallway, with the bedroom to the right or left. This makes a wall the first thing people see when they enter and keeps your private business private if they don’t have an invitation. This layout also allows the circulation area to be included in the bedroom itself, rather than in a long hallway that runs beside the closet and en-suite. This is always a good thing, as it adds to the spacious feel of the room and creates more room to move around. Now that you’ve assured that your bed isn’t the first thing visitors see, you have the opportunity to dictate what they do see. 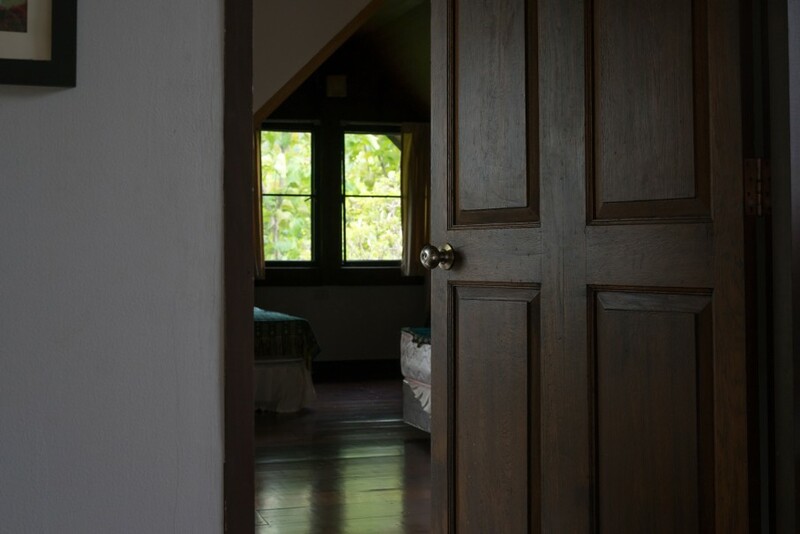 The most pleasant option – if it’s possible within the area of the house that you have to work with – is for the window to be the first thing that greets people when they walk through the door or hallway and into the room. Even better, if you’re on the first floor or have a balcony, you can install French doors to add a flood of natural light and create a breathtaking initial view. Alternatively, if you have the option of a corner bedroom, a large window on each of the two walls can also create a stunning atmosphere while greatly increasing the ventilation and reducing the need for artificial light. Whether you’re remodeling a tiny bungalow bedroom or creating a huge new luxurious master suite with an ocean view, well-organized, thoughtful planning can help you maximize the functionality and aesthetic appeal of your room.